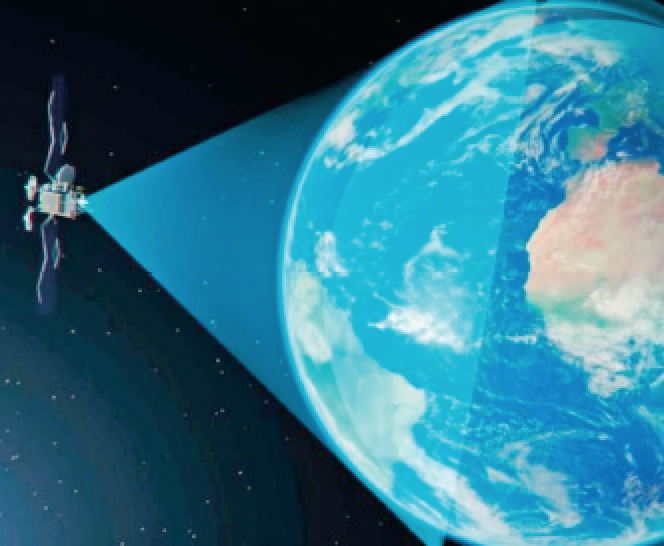 Artistic rendition of a OneWeb satellite. Image is courtesy of Airbus. And it was indeed an interesting year full of change and challenge. Big deals were signed, from Northrup Grumman’s acquisition of Orbital ATK to SpeedCast’s purchase of Harris Caprock. MDA bundled SSL, DigitalGlobe and Radiant into a new company called Maxar, and Planet bought Terra Bella from Google. SpaceX announced that it planned a vast LEO satellite network and ViaSat filed for permission to add MEO satellites as part of its ViaSat-3 terrabit satellite network. Intelsat sought to acquire OneWeb with the help of Softbank but the deal proved too difficult to pull off. However, looking back, what strikes me most is the number of things that began to happen in 2017 or before, and which have not yet occurred — this left us at the end of 2017 waiting for the other shoe to drop. That phrase about the shoe comes from an experience known to every apartment dweller. Your upstairs neighbor comes home after you have gone to bed and wakes you by clacking across the bedroom floor in shoes that seem to have brass soles. Finally, you hear the thump of one shoe hitting the floor as your neighbor prepares for bed. Then you wait for that next shoe, which will signal your chance to go back to sleep as brass soles give way to stockinged feet. The past couple of years have had plenty of brassy thumps in them. The raw transponder capacity of the satellite network continued to grow as extremely larger bandwidth HTS satellites entered service. Downward pressure on prices materialized with a vengeance, and incumbent satellite operators responded with a variety of strategies. Those with profitable video neighborhoods focused on making the most of that niche. Those with significant data businesses, where competition from new high-throughput satellites is fiercest, expanded their own HTS capacity and sought out partnerships with, or acquisitions of, technology and service providers in high-potential areas like maritime and the connected car. But all of this action involved GEO and MEO spacecraft — with the significant exception of the L-band players such as Inmarsat, which added a fourth I-5 satellite in 2017, and Iridium, which finished launching 40 of the satellites in its 66-spacecraft NEXT constellation at the end of the year. For the companies operating in C-, Ku-, Ka- and higher bands, the LEO shoe has yet to drop. OneWeb, with its multi-billion-dollar financing, is in the lead. In 2015, that company committed to have Airbus build its initial satellite fleet and signed on Arianespace and Virgin Galactic for the launches. In 2017, the company received FCC approval to launch their constellation, broke ground on the firm’s own satellite manufacturing facility in Florida, and predicted that they would put the first 10 pilot satellites into orbit in 2018. Coming up behind OneWeb are operators that have raised enough money, or already have a sufficient track record, to initiate contracts for services and technology. Iridium Kepler Communications had announced plans to launch their first nanosatellite for Machine-to-Machine (M2M) service by the end of 2017 — the deadline came and went without result. 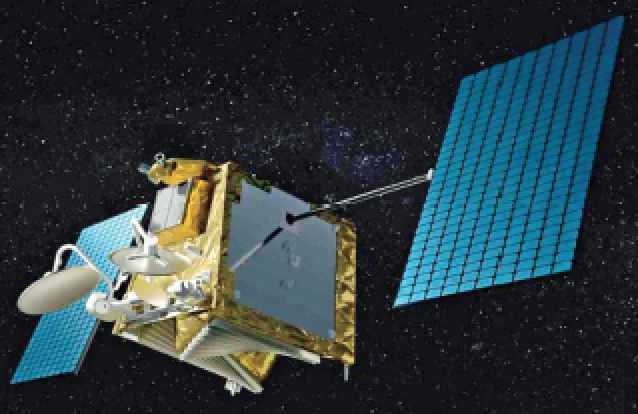 Artistic rendition of ViaSat-3. Image is courtesy of ViaSat. LeoSat and SpaceX forecast 2019 as the year for their initial deployments and the massive planned Boeing constellation has yet to announce its schedule. Meanwhile, SES has applied for permission to add as many as 48 new satellites to their already successful MEO constellation (formerly O3B), as well as a wider range of frequencies. NSR has estimated that this LEO high-throughput capacity could drive pricing as low as $50 to $60 per Mbps per month, or about 40 percent lower than the lowest-cost GEO HTS cost. This applies to the target market of broadband connectivity but seems inevitable to impact enterprise data and commercial mobility sectors as well. Indeed, in 2017, one satellite executive complained to me about mining companies in Australia switching their expensive committed-rate data services from traditional VSAT to the National Broadband Network’s broadband network at a tiny fraction of the cost. Data rates, competition and availability were not on the same level but the customers considered it good enough. A lot depends on how new capacity is used. Consumer broadband is the target market common to most of the LEO systems — but it was also the original target market for O3b. The experience of that company, which set out to connect the world’s Other 3 Billion, but wound up finding success in maritime and energy, suggests caution about the future. So does the story of Iridium, as told in the marvelous book Eccentric Orbits. The bankruptcy of what that book calls the world’s most expensive start-up will haunt the LEO business until OneWeb or one of its competitors proves that, this time — as we all hope — it truly is different. At last year’s Smallsat Symposium in Silicon Valley (hosted by this magazine’s publisher), a speaker on a finance panel made a point that has stayed with me ever since. He noted there are ever-increasing numbers of companies proposing or building constellations of smallsats as well as a number of new launch providers proposing to bring low-cost LEO launch capacity to market. What is not sufficiently appreciated, he said, is how interdependent those groups are. The satellite companies will only be able to get their constellations into orbit if there are a lot more launches happening at much lower prices. The launch providers will not find nearly enough customers to make their businesses work unless the smallsat constellations succeed. 2017 was an exciting year to hear the first shoe dropping for these companies: the financing deals, the hot-fire tests and test flights, the prototypes delivered to LEO. A small ecosystem of suppliers has already sprung up around them to offer everything from smallsat assembly lines to shared ground communications networks. But that other shoe has yet to hit the floor. For the past half century, satellite and launch startups have been rarer than hen’s teeth. To have so many at one time is without precedent. Research and Markets recently estimated that the satellite payloads market could be worth $18.15 billion by 2022, up from $11.84 billion in 2017. The 8.9 percent CAGR will be driven, the company says, by increased demand for hosted payloads (think smallsats), satellite miniaturization (smallsats again), and the lower cost of satellites (smallsats, anyone?). In this scenario, the constellation and launch providers embrace in a mutually reinforcing partnership, such as the Wintel duopoly that drove the fortunes of Microsoft Windows and Intel for so long. So far, smallsats for Earth observation (EO) have been the effective partner on the satellite side. They are bringing to market a new capability for rapid revisit of sites at lower costs, and market demand appears to be strong. With that exception, all of the progress so far toward a Wintel-style growth cycle has come from the launch side. Flickr Image: SpaceX launch of ORBCOMM payload. A 2017 analysis by Ars Technica estimated that the Air Force’s 2020 launch costs would average $422 million per launch if the military continued to use ULA’s Delta and Atlas V rockets. 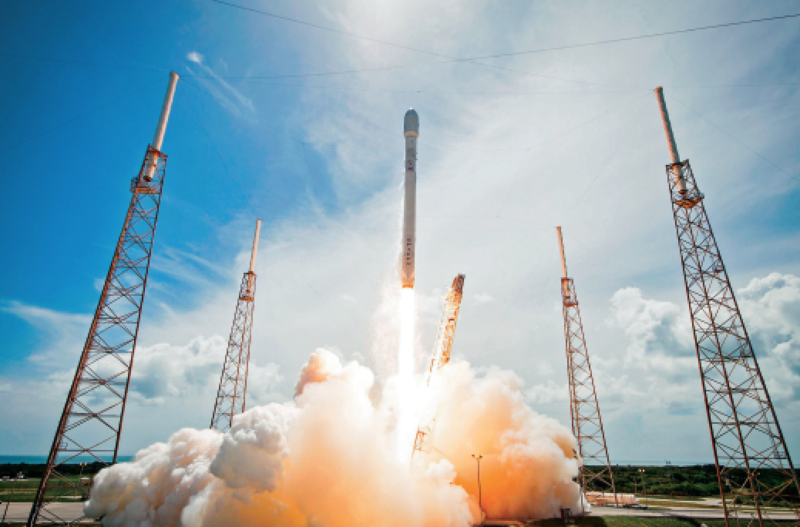 By contrast, the Air Force awarded SpaceX two contracts at $83 and $96.5 million. That’s a compelling proposition even for a governmental buyer with a major interest in maintaining government launch capabilities. An April 2017 article in Forbes by Gene Autry (“The Next Economic Revolution just (re)Launched”) notes that competition has already driven down the price for a mid-sized orbital launch (10 to 15 metric tons) from more than $150 million to under $65 million. The article predicts that reusability will cut that price by another 30 percent or more — it could upend customer purchasing decisions. The article notes that satellite operators pay launch providers for one attribute — reliability — and the suggestion is that reusable rockets will not only be cheaper but more desirable as they have been tested in flight. He foresees customers paying more to place their payloads on previously flown vehicles. 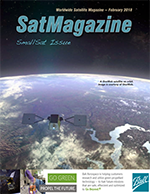 For the next year or two, we will be waiting for the shoe to drop: will the smallsat constellations meet the market acceptance needed to continue powering this partnership that promises so much for the future? “Space does not cooperate,” said Mark Watney at the end of the film The Martian. Space is high risk. People start companies that operate in space at least as much out of blind love for the high frontier as for sensible business reasons. Steven Zwerink Startup Weekend in Cancun. The career arc of Adam Maher, an SSPI Promise Award winner, shows that such love does not, however, have to be blind. After eight years working for Space Systems Loral, he founded a company to put EO hardware into orbit. After struggling with funding, he and his team made one of those pivots that savvy entrepreneurs are known for — he realized that the world has no lack of EO data, mostly in the form of images. The gap to be filled is for commercial applications of that space-based data. In response to this realization, his company, Ursa Space Systems, created a big data service that produces near-real-time estimates of global oil reserves. The roofs of oil storage tanks rise and fall depending on their load and satellite images record these changes. Ursa developed software capable of automatically extracting estimates of roof height from the images and matching it with trade data. After achieving success with the global reserves service, Ursa has introduced a new product: a China refinery demand report provided in partnership with ClipperData. The development of this secondary market for space-based services may not stir the pulse like a rocket launch. However, it represents a maturing of the industry’s entrepreneurial surge that is deeply reassuring. Space may not cooperate — but data does. A growing range of software-driven companies like Ursa Space are drawing on resources that hardware-driven companies provide at a reasonable cost. Their risk is minimal compared with putting hardware in space, and the returns from data services that shape financial decisions can be exceptional. There is no other shoe to drop. Instead, there are only endless opportunities to innovate for profit. 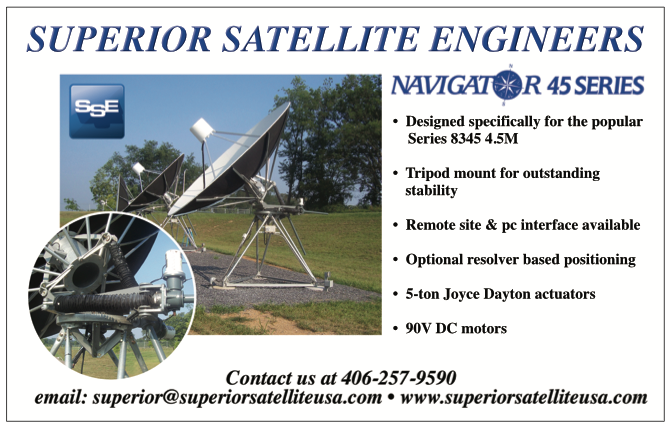 Commercial space and satellite has always been comprised of a few large companies and hundreds or thousands of smaller ones that provide the “majors” with components, assemblies and services. The entrepreneurial surge of this decade has enriched that ecosystem enormously, while substantially disrupting the established business models of incumbents. With 2018 and 2019 shaping up to be critical years, entrepreneurial companies are also posing a challenge to the ability of incumbents to attract and retain the talent they need to effectively compete. According to SSPI’s research, 20 to 30 percent of companies in the industry do a good job of attracting talented people, engaging them in the mission and continuously upgrading their skills. The vast majority, however, treat talent management as something to think about after many more urgent priorities are handled. I interviewed the senior “people executive” of one of the best-known new space companies this year for our series of “Making Leaders” reports. The topic was about bringing new hires on board. While waiting for the other shoe to drop, we must never forget that we are also in the business of making leaders, who will help our companies meet whatever challenges we face when that loud thump finally comes. When the second shoe falls in the apartment overhead, it is a signal that you can go back to sleep. For the space and satellite industry, it will be the ultimate wake-up call. 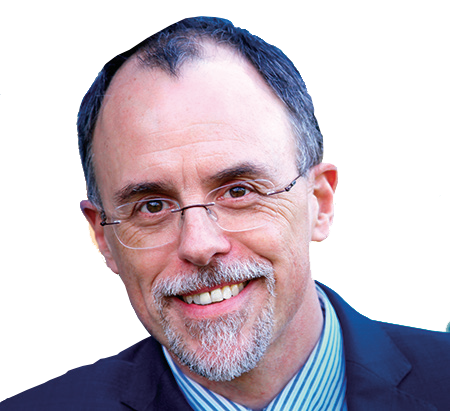 Robert Bell is executive director of the Space & Satellite Professionals International, the industry’s largest membership association, which works to make the industry one of the world’s best at attracting and managing the talent that powers innovation. He can be reached at rbell@sspi.org.